Murtis are statues or images of a Hindu Deity which is considered to be divine once it is created. It is one of their greatest art forms performed along with their dress, architecture, music, painting, pujas and expression of dance. The construction of murtis in India differs from the method of murti construction that is practiced in Trinidad. (1)“In the Shilpa Shastra the standards for iconography are detailed. The proportions for all sculptures including murtis are prescribed. 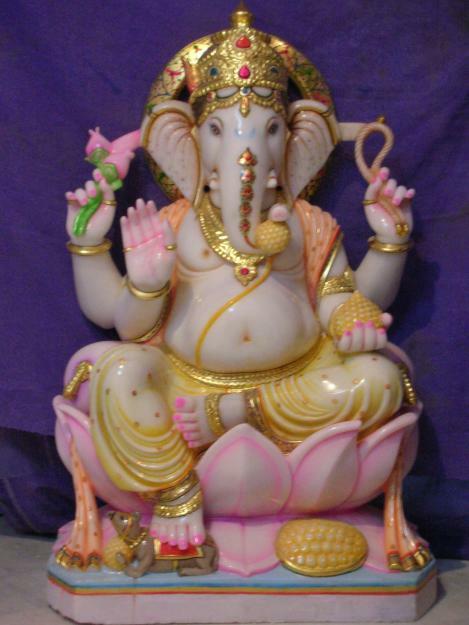 In India, arts are handed down from one generation to the next and thus succeeding artisans are taught this skill during the period of apprenticeship with the result that the murtis made in India have a distinctive look.” The murtis in Trinidad have two methods of construction; one is where the murtis are made out of concrete while those in India are made out of marble. The murtis in north and south India use different types of marble: white and black marble respectively. The other method of construction is the murti makers in Trinidad do not follow to any set of proportions but put their own individual touch and make the murtis more visually appeasing. (2)“Interestingly, the proportions used are different form the historical ones and it is hoped that this Trinidadian evolutionary innovation in the art of murti making is not cast aside as being inferior and or non-Hindu as cultural and relations continue and traditional Indians are quite distinct and are accepted as genuine. It should be no different here.” The Hindu murti makers take pride in their work and look at it as a progressive means of making murtis. Another popular art form in Trinidad would be the way the music has developed and evolved as well and has developed into “Thumri”. Thumri refers to an authentic Hindustani, classical style that expresses romanticism. The music is based of the Hindu scripture of Krishna and Radha and is sung in a melodic style accompanied by instruments to compliment the tune. (3)“The local classical Thumri is perhaps one of the most difficult styles of the artform. Unlike the Hindustani classical thumri, the lyrics are not only based on Krishna Leela but stories from the Ramayan and many Kabir Das and Surdas bhajans which give account of the life’s journey. The structre of a Thumri does not follow the same structure as a regular Hindustani song but has three to four versus which are reflective of the scripture story being relayed and one chorus. Each aspect of the song will be sung at different speeds with the opening verse being a slower pace. It follows the order from slower to faster after the first verse, with the drummer increasing the pace of the song with the rhythm(taal) he maintains while playing it. The slow pace of the first verse is known as ‘theka” while the increase in speed into the second verse is known as ‘bharti’. (4)“The taal is slightly different and more complicated and at the end of the chorus the words must time with a Teehaie which is the ‘group of sound syllables’ played three times which end at the first beat of the taal.’ Within the song are Alaaps or variations which are composed from the main notes of the raga on which the song is based. These enhance the quality and technicality of the song.” This type of song is performed at weddings and at local competitions such as Mastana Bahar. Another form of Art form in Trinidad is through Indian dress and the most prevalent would be through the kurta and the sari. In India the kurta is unisex attire however that has not stemmed to Trinidad while the Sari remains as primarily female worn outfit. 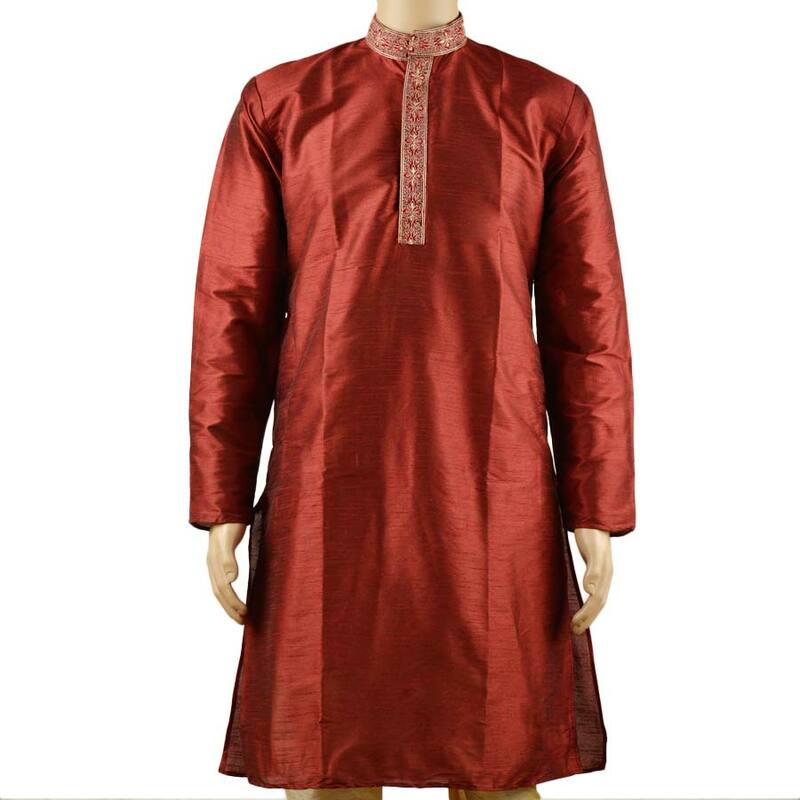 The kurta is worn at special occasions such as wedding or going to prayer ceremony. It is not worn as daily attire and the same can be said of the Sari. Even in most parts of India this tradition of waering a kurta on a daily occasion has become extinct . A kurta can best be described as a loose shirt which does not pass the knees of the bearer accompanied casual pants of the same material. Present day kurtas are not plain as they are usually flashier and covered with embroidery, sequins and rhinestones. The Sari is the most popular female attire for the Hindu community which has been in existence for over five thousand years. The traditional sari was a draped garment which is usually six feet in lenght and is described as the image of an Indian woman. The blouse in the sari which is considered to keep the entire outfit together is known as the Choli/Ravika. There are fifteen types of saris and each type can be attributed to a different region in India and these different types of saris have made their way to Trinidad and are worn locally. There are not many possible ways to get a sari or kurta locally as they would not have the experience in making one; they are usually imported directly from India. (3) Sesnarayan Nirmala. National Council of Indian Culture Annual Commemorative Magazine 24th Edition, Divali Nagar 2010, Tirtha, Global Hindu Pilgrimage Sites. Pg 26. (4) Sesnarayan Nirmala. National Council of Indian Culture Annual Commemorative Magazine 24th Edition, Divali Nagar 2010, Tirtha, Global Hindu Pilgrimage Sites. Pg 26.